Here we provide some information to help you get a better understanding of personal injury law in Arizona. Though you should always discuss your case with an experienced Arizona personal injury attorney, here are some key things you should know. (Is there a time period for filing a claim in Arizona? )In Arizona, the time you have to file a case may differ slightly. The statute of limitations for personal injury, medical torts, and medical malpractice is 2 years. 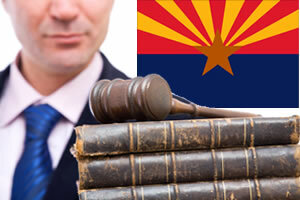 The Arizona "intentional tort" statute of limitation is 1 year. The laws could change at anytime and it is always wise to consult your Arizona injury attorney. Arizonas Title 12-542 shows the legislatures outline on the states statute of limitations. These rules apply to lawsuits and car accident cases for Arizona. "Fault State rules" mean that the insurance adjuster will pay depending on who isn't or who is at fault. In Arizona car accident cases, plaintiffs can sue or collect damages from the other party for any type of accident caused by that party. Contributory or comparative negligence refers to the rule each state has regarding when a plaintiff may sue if he/she is partially responsible for his/her own actions. Pure Comparative Negligence means that plaintiffs who had any type of role at all in causing their own injury are barred from suing. A personal injury attorney in Arizona can assist you in proving negligence. Are there Damage Caps in Arizona Injury Law? (How much will I get?) No, there are no damage caps in the state of Arizona. Arizona constitutionally prohibits the enactment of a law which limits the damages a person may recover for personal injury or death. But because Arizona is a Pure Comparative Negligence State; awards can always be adjusted depending on the comparison of fault for all parties involved. This usually depends on if the case goes to trial or not. -Damage caps can always change or adjust with inflation and politcally lobbying. Speak to your Arizona injury laywer for a clear and specific answer regarding damage caps and the types of awarded damages; compensatory and punitive.